We are pleased to present our third quarterly newsletter for 2016. We hope you find the information useful and helpful in your investment considerations. 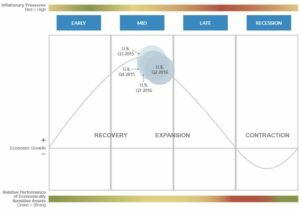 In this letter, we provide an update on the economy, financial markets, and management of your portfolio in the current environment. We are committed to communicate with you regularly to keep you updated on the financial markets and our portfolio strategies. The U.S. economy continued to amble along a slow and steady path. 2016 second quarter data showed fluctuations in job gains, small improvement in wage growth, and consumer spending continued to be resilient. U.S. employers added a seasonally adjusted 287,000 jobs in June, though it came on the back of two weak monthly job reports. Over the past three months, employment growth averaged 209,000 and the unemployment rate came down slightly from 5.0% to 4.9%. We also saw a dip in the labor force participation rate (62.7% from 63%) as more Americans left the labor force. 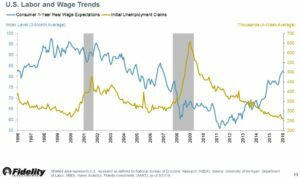 Investors continue to be concerned that the current economic expansion has been ongoing for more than seven years and a recession may be imminent. However, as we explained in our last newsletter, the length of the current expansion is not unprecedented. 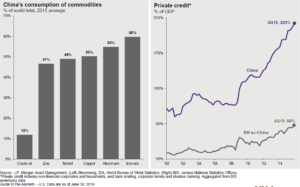 The weak global environment has negatively impacted both commodities and exports. However, since the household sector is in solid shape, the broad economy is likely not nearing a recession. The most significant economic news that roiled markets around the world was the surprise result of the British referendum. Market participants expected the “Remain” side to win given the bookmaker odds in the UK that favored a “Remain” victory. However, the “Leave” campaign narrowly brought in a victory with roughly 52% of Brits voting to leave the EU. The long-term effects of Brexit are uncertain and will take a long time to play out. The UK is the world’s fifth largest economy and a slowdown, or even recession, is quite possible. However, the UK economy accounts for approximately 4% of the world’s GDP and the possibility that a recession in the UK will cause a significant slowdown in global growth is low. The process of the UK leaving the EU is scheduled to take a minimum of two years and, during that time, terms of trade with EU nations will be renegotiated. Though the trading terms will most likely be less attractive than now, the difference may not be very far from the status quo. Moreover, the UK economy may benefit from freedom from some EU regulations. Britain will gain greater control over its tariffs and immigration policy. Overall, we believe that Brexit may impact growth negatively in Britain and the EU over the short-term. Paradoxically, if the UK’s economy does better in a few years than it was doing as part of the EU, it could encourage other countries to move towards their own referendums and exit plans. It is also possible that another painful recession could magnify anti-immigrant sentiment in other EU countries, and prompt more countries to emulate the British example. Such scenarios could unravel the entire European Common Market and cause massive economic upheaval. Therefore, the long-term impact of Brexit cannot be ignored. It is a phenomenon that will have to be followed closely over the next several years. In the short run, the impact on the equity markets could be neutral or even positive. Brexit should nudge central banks globally to maintain a loose monetary policy. The Bank of England is already indicating the need for fresh monetary stimulus as well as cutting interest rates. The U.S. Federal Reserve has indicated in its minutes that it is concerned about the greater economic uncertainty caused by Brexit. The prospect of Brexit likely played a role in the Fed opting not to raise rates at its June meeting and it we could see the Fed take a dovish stance over the next few months. Therefore, the fact that there will be more cash floating in the financial system could overwhelm any negative economic impact of Brexit. The European economy continues to grow at a slow and steady pace. The Purchasing Managers Index, which reflects industrial trends, has strengthened further. Unemployment in the EU continues to go down and has reduced from 10.1% in May 2016 from 10.3% in November 2015. The European Central Banks’ NIRP (Negative Interest Rate Policy) seems to be having an effect as credit offtake has improved significantly. Brexit will certainly have some impact, but, as we explained, the impact on the EU should not be substantial in the short-term. Japan’s economic picture is less positive. Growth is anemic and corporate confidence has waned. Japan’s central bank may be running out of options to boost the economy as all of its massive stimulus packages have had very little impact. China has embarked on another fiscal stimulus package to stabilize its economy. This mitigates a portion of the risks of a major Chinese slowdown. While the short-term concerns have been addressed, the increase in total debt in China is worrisome. Private credit growth since the Great Recession has been extremely large. Whenever an economy highly expands leverage in a short period of time, the chances of a misallocation of resources increases. Over the long run, China should negotiate a path that promotes domestic consumption, reduces excess industrial capacity, and lowers its economic leverage. Emerging markets remain a mixed picture with broad country variations. Brazil and Russia are emerging from economic and political crises while India is showing strong economic growth. After two droughts, the agricultural sector and household consumption in India should get a boost from normal monsoons this year. We believe India should have strong corporate profit growth over the next one to two years. As we presumed last quarter, the Federal Reserve did indeed hold off on raising interest rates in June, in part due to Brexit fears. We also hypothesized that only one or two interest rate hikes were likely in 2016. Now that Brexit has come to pass, statements from the Federal Open Market Committee members suggest they are going to be even more cautious on rate hikes than previously thought. Currency issues may also indirectly impact the Fed’s decisions. The world economy is in an environment of a silent currency war. Both Europe and Japan are trying to devalue their currencies in order to export their way to higher economic growth. Interest rates are already in negative territory in Japan as well as parts of Europe. U.S. Treasuries however are still positive. This creates huge pressure on U.S. Treasury yields as foreign investors buy U.S. bonds in the search for yield. The resulting demand of U.S. dollars strengthens the currency and hurts exports and fiscal growth within the U.S. economy. The second quarter saw moderate volatility and a slight uptrend. In June, we saw a large drawdown and bounce back on Brexit fears and news. For Q2 overall, the S&P 500 was up by +1.89%, while the NASDAQ Composite was down by -0.55%. The Russell 2000 (small cap index) gained +3.40%. The MSCI EAFE (Developed World ex-USA) index gained +1.75%, while the MSCI EM (Emerging Markets) was up by +1.9%. 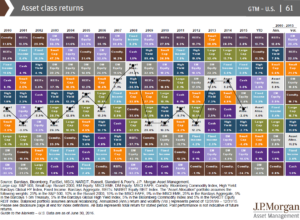 The chart below shows rankings of different asset classes based on their performance. As one can see, a diversified asset allocated portfolio always is in the median range of returns, though individual asset classes can fluctuate from high returns to large negative returns. In the long run, the median steady returns provide higher returns with less volatility. Over the last quarter, we made a number of changes to our portfolios. We rotated from Mid-Cap Growth to a Global Equity fund. We also sold out of a Consumer Discretionary fund and added to a Domestic Large Cap allocation. In addition, we reduced some allocation to High Yield funds and added to the MLP space. The MLP sector is currently in a rebound now that energy prices have stabilized. The majority of the exposure is to natural gas rather than the volatile oil sector. Therefore, we are optimistic about the sector’s prospects. As we mentioned in our last newsletter, we are shifting towards ETFs and systematic trading funds. To this end, we moved out of some Income mutual funds to a Bond ETF. In addition, we also added two trading funds to our allocation. One is a currency fund that attempts to make money from global currency movements and the other is a commodity rules based trading fund that trades across multiple commodity and financial markets. Previously, both of these fund’s managers were only available to institutional clients through hedge funds. In our opinion, they offer portfolio diversification with proven track-records. Lastly, we added a low-risk, low-return fund that attempts to make money using derivatives in our conservative portfolios. We see this investment as a steady earner and as a bond alternative. Geopolitical risks, apart from Brexit that we discussed earlier, seem to have improved in the last quarter. ISIS remains a major problem, as is the threat of terrorist attacks globally from ISIS inspired terrorists. In order to nullify its threat to Middle East stability, ISIS will need to be physically defeated on the ground. We believe it will require some leadership from the U.S. to develop a political, diplomatic, and military plan to vanquish ISIS. 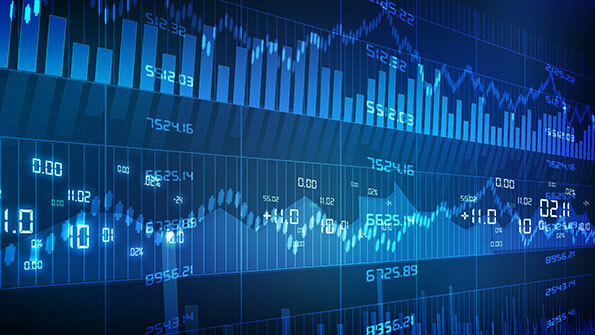 If you are worried about market volatility continuing, please do not hesitate to contact us to discuss the pros and cons of allocating some funds to annuities with guaranteed income and/or death benefit riders, or income generating investments with limited exposure to the equity markets. Such products are sold by prospectus only and all investors must meet suitability requirements. Also, we have the capability of answering questions regarding Social Security and we can help you decide how to best utilize your Social Security Benefits. Choosing the right time and method in filing for Social Security could mean a difference of hundreds of thousands of dollars during your lifetime. If we can be of further service to you or your loved ones, please do not hesitate to contact us at (949) 248- 9815 or by email at Peter@Prescott500.com. The opinions expressed are those of Prescott Tax and Wealth Management as of April 8th 2016 and are subject to change. There is no guarantee that the forecasts made will come to pass. This material does not constitute investment advice and is not intended as an endorsement of any specific investment. Investment involves risk. Investing in foreign markets involves currency and political risks. Information and opinions are derived from proprietary and non-proprietary sources. Please note that investing in the stock market involves risk and no strategy can mitigate the risk completely. S&P 500 is a registered trademark of The McGraw-Hill Companies, Inc.